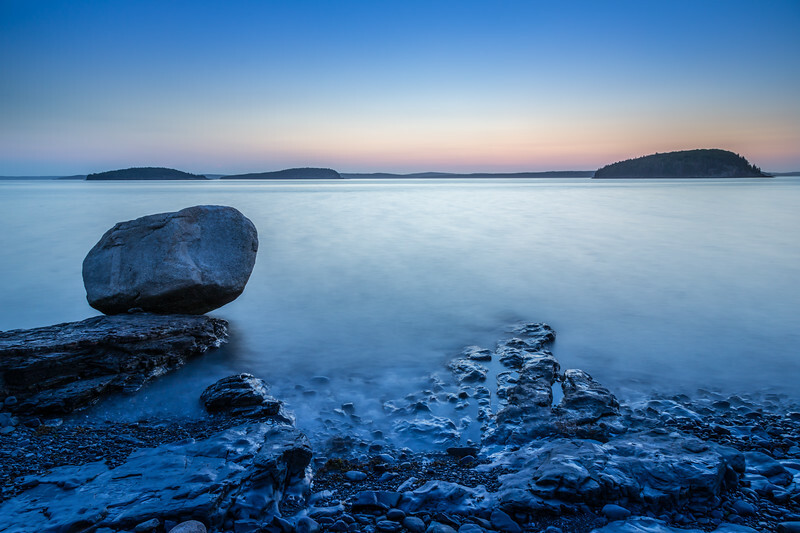 I made this shot one early morning, just before sunrise at the Shore Path of Bar Harbor in Maine. Here you’ll find a black & white version of the photo. Here you have a ’panorama view’ of the Balance Rock, composed by 8 individual shots stitched into a photo with a resolution of more than 14K x 5K pixels.